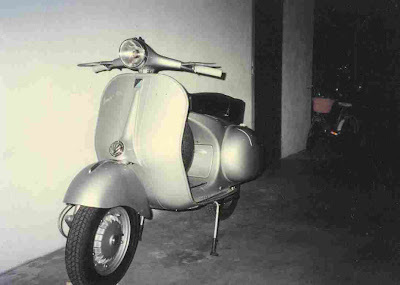 This was the last Vespa in the legendary GS series, first produced in 1955 with successive engine and styling improvements made to the VS versions and numbered 2 to 5. The VS5 front shield had a stainless steel rim and a die-cast handlebar that concealed the control cables, exactly as on the VS2. 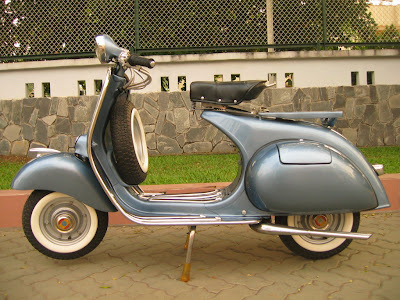 It had a characteristic fan-shaped speedometer and the rear lamp had a stop light, which had become compulsory, with chrome trim. The front mudguard crest also had a new design. 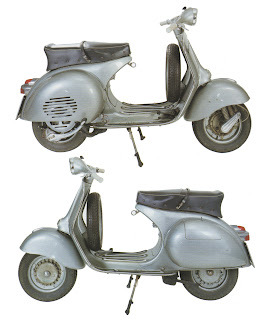 There were significant improvements to the braking system and the engine in general – it had a new carburettor and cylinder head with a hike in horsepower to make running smoother and more flexible. This model was manufactured from 1959 to 1962.